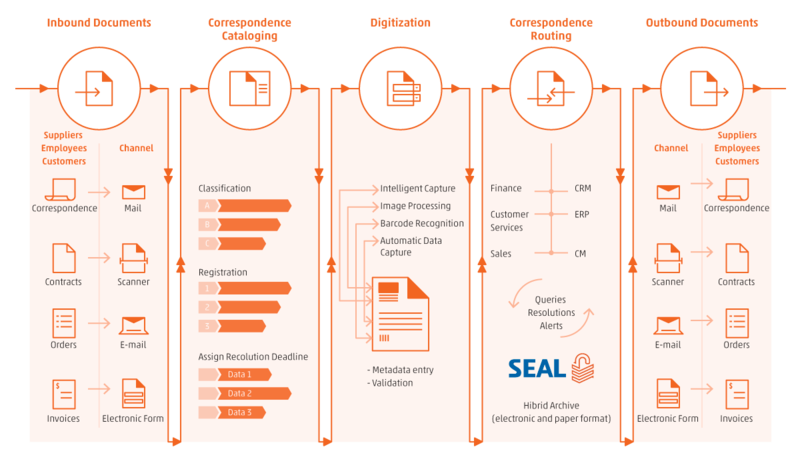 SEAL is the complete solution for centralizing, managing and archiving the company records either on paper or electronic. As a new major feature, SEAL has now a dedicated digital mailroom module, allowing our customers to capture incoming correspondence, to distribute it electronically and manage electronic ledgers, seamless integrated with the archiving and records management processes. rapid integration of information in business processes. Strong mobile and cloud capabilities - native mobile clients for iOS and Android, CMIS for simple integration, designed for Cloud and SaaS providers with multi-tenancy capabilities. Compliance with legal requirements or internal regulations of the company.